After recovering from an early break, Roger Federer made Wednesday afternoon’s second round match against Diego Sebastian Schwartzman a relatively straight forward matter. Playing through some light drizzle at times, the Swiss maestro better protected his serve, firing nine aces to two double faults, while comfortably serving out each set. Federer dictated play with his serve, winning 82% of points on his first serve, although winning just 57% of points on his second serve. The 17-time grand slam champion did place an emphasis on moving forward against Schwartzman, winning 13/18 points at net. He was 4/10 on break point chances. 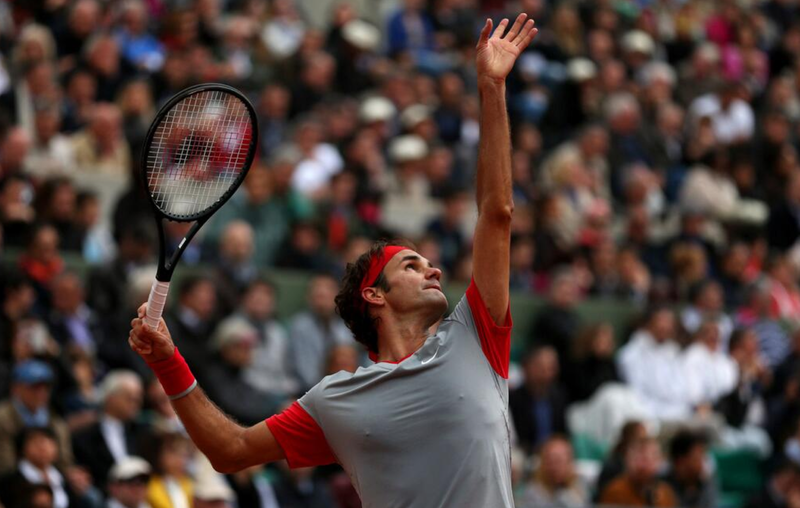 After 2 hours 23 minutes, Federer advances to the third round at Roland Garros (facing Tursonov), 6-3 6-4 6-4. The win marks the Swiss star’s 60th at Roland Garros. He is the only man to have 60 or more wins at all four grand slams. Watch coverage of Roland Garros (French Open) on FF07tv.